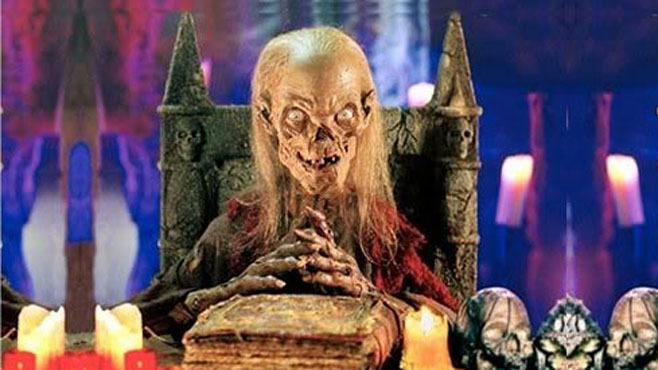 The 90's hit show "Tales from the Crypt" is officially 'alive'. The fan favourite horror anthology will be executively produced by M. Night Shyamalan as part of a new two-hour horror block of programming on the channel. "I couldn't be more excited to be teaming up with Kevin Reilly, Sarah Aubrey and the entire TNT team in this unique endeavor," said Shyamalan. "To be part of such a beloved brand like "Tales from the Crypt", something I grew up watching, and to also have the chance to push the boundaries of genre television as a whole is an inspiring opportunity that I can't wait to dive into." The writer-director will be working with colleague, Ashwin Rajan on the upcoming show. The two have history as they've also worked on FOX's "Wayward Pines". TNT Chief, Kevin Reilly revealed how the two-hour Tales block would work, "It's not a show, it's an umbrella for what will hopefully be many shows. We're going to put a variety of different genre shows...all united under the Tales from the Crypt brand. Night is definitely going to direct the first one and we'll see how that evolves. And we're definitely going to utilise the underlying comics." The much anticipated revival would not be based on the long-running HBO series but will be based on the EC Comics series from the 1950's. The show was adapted into a film in 1972 before HBO made a series out of it that lasted 7 seasons. The titular character, a skeletal puppet, does not have a place in the upcoming project but Reilly did mention that he will save it for another announcement. The show's run in the 90's was nominated for the Primetime Emmys a whooping seven times and featured a lot of notable directors including Richard Donner, William Friedkin, Tom Holland, Tobe Hooper and many more. "Tales from the Crypt" is expected to be completed later this year.